If you have a rental property in the Arlington area including: Bedford, Benbrook, Burleson, Cedar Hill, Colleyville, Crowley, Duncanville, Euless, Fort Worth, Grand Prairie, Grapevine, Hurst, Lake Worth, Mansfield, Saginaw, Southlake, Watauga and White Settlement, you should be interested in the services of the best of property management companies. There are a number of clear advantages to having your rental property or properties taken care of by an experienced, knowledgeable and caring property management firm. 1) Decades of experience with selecting the right tenants improves your bottom line. 2) Extensive knowledge of property and landlord-tenant laws in your area helps you avoid costly and stressful legal disputes. 3) Networking expertise to find and keep the right tenants, the right repair and maintenance professionals, and the right marketing avenues helps minimize vacancies and keep costs down. 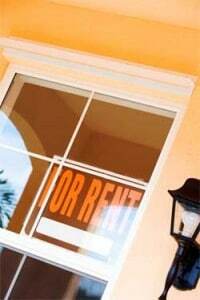 4) Quick response to tenant concerns and requests helps retain good tenants longer. 5) Professional handling of landlord-tenant disputes such as evictions, maintenance problems, timely rent payments, etc. 6) Less confusion over taxes means less headache for you. 8) More free time and the freedom to travel out of town with no worries. 9) The ability to invest in other homes as a result of having more free time. 10) Knowing you have professionals on your side to answer any questions you have and help you solve any problem with your property. Hiring a property management companies helps you protect your most important investments – the homes you own. Herman Boswell Property Management maintains the highest ethical practices and focuses on the local area. Because we know the Metroplex, we know your business better than any other company. We are here to help you! Contact one of our agents today to discuss your needs for managing your properties.